Product Sample: Complimentary jewelry samples were provided to me in exchange for this styling. Affiliate Links: If you click on a link in this post, I may make a small commission. That’s why when I saw my Levi’s 501 CT Boyfriends in my closet I knew I had to pull them out for at least one last outfit before Fall officially begins. 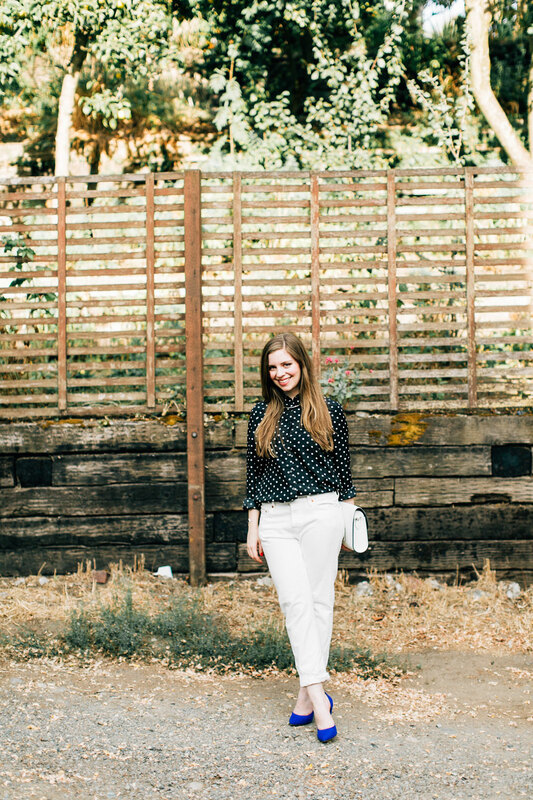 It’s far too dangerous to wear white pants in Seattle during fall… I mean, rain + city streets + white pants just do not mix for obvious reasons. And speaking of all things style and local, did you know Zulily’s headquarters is here in Seattle? They’re having a model call tomorrow, September 12. For this particular event, they’re looking for sizes 8-14, however if you’re interested in submitting your name for future opportunities outside of that size range, you can do so here. No modeling experience? That’s okay! They’re looking for confident women, no experience neccessary. On that note, I will leave you to enjoy your Friday and weekend… I, unfortunately, caught a cold that Dave brought home and am concerned if I write too much my fever induced writing will not make any sense. I hope this isn’t a sign of what’s to come this fall. 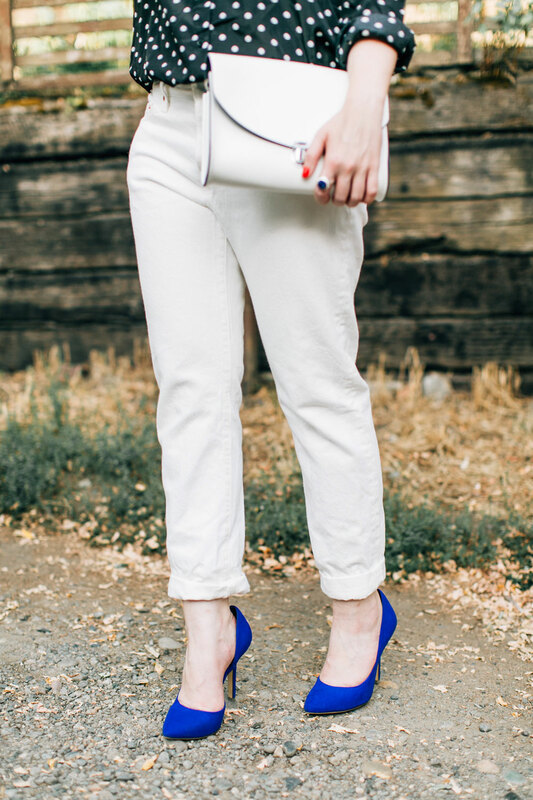 Are you a believer in the “no white after Labor Day” rule? I’d love to hear your thoughts! Haha! Yeah, I usually forgot… and don’t really care anyways! Definitely an outdated rule that seems silly! Aw, thanks so much Kyle! Great photos! 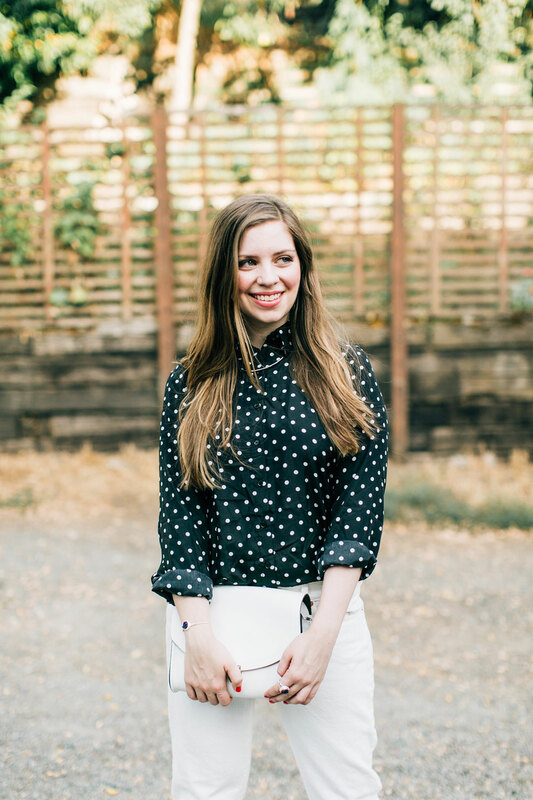 I agree that white pants in Fall/Winter can be tricky in the PNW but I do love a great white top! Thanks Portia, I love a nice white top too! So classic and chic. I totally believe in winter whites! I hope your cold goes away quickly! My family is on the end (I hope) of some sickness too. Aw, thanks Rebekah! Luckily it was brutal but short. ;) Hope your family is well again too! I don’t either, really, just a few basics that I like to wear year round. I saw another blogger’s travel vlog from that event, looked like a beautiful party! I’m a strong believer in white after Labor day. I don’t wear as many white pants when it gets into the deep of winter, but labor day is too soon to put away my white jeans! The Zulily office is literally a block or two from my apartment! I applied for a job there but didn’t get it. I also got approached on the street and asked about modeling but when I submitted the form they never got back to me. Boo. Haha, I’m totally with you Rachel! 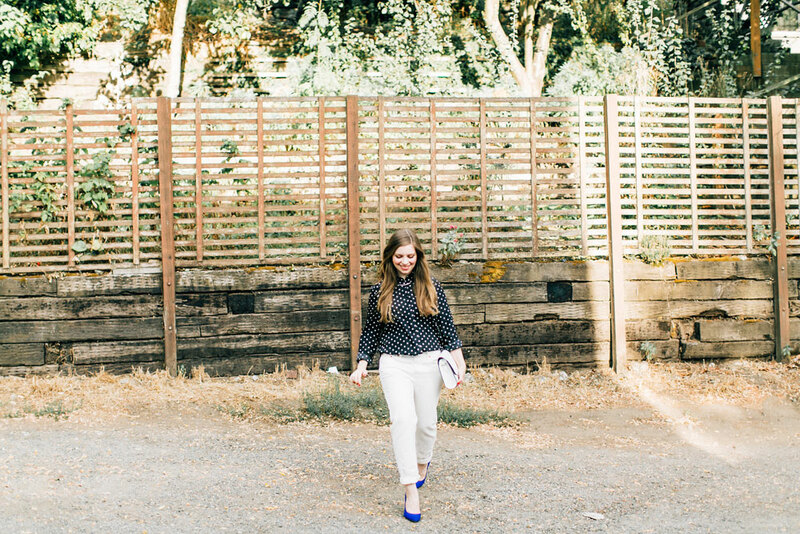 I’m a big fan of polka dots and I love the blouse paired with the blue shoes and white pants. So cute. Aw, thanks so much Asa!